This is TASMANIA'S ONLY dedicated shuttle bus service to Port Arthur. Travel in comfort in our air-conditioned vehicles driven by one of our friendly local drivers. 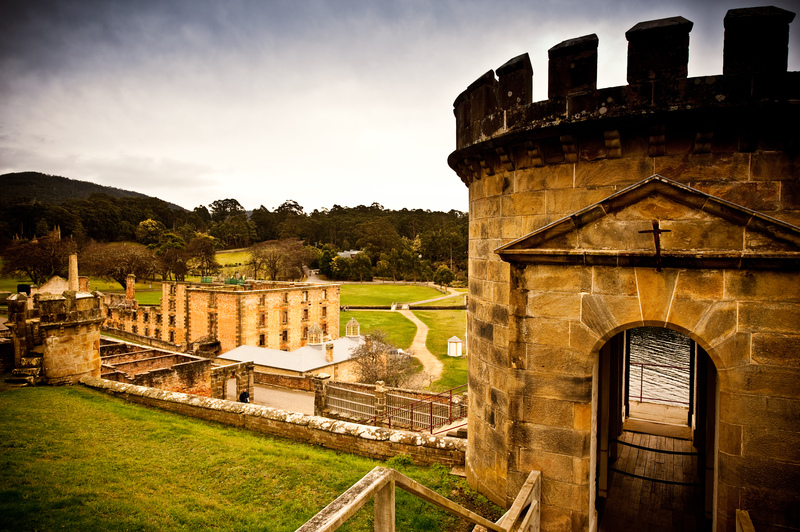 Once you reach the historic site, you will have four hours to explore and soak up the incredible history and scenery at the multi award winning PORT ARTHUR. The Port Arthur Shuttle Express runs in conjunction with a 40-minute guided introductory walking tour and a 25-minute harbour boat cruise whilst at the historic site. There are 2 shuttle services departing Hobart daily. The first departs Hobart at 8am and returns at 3pm. The second departs Hobart at 12pm and returns at 7pm. There are 7 convenient pickup locations in and around the city including the airport Travel Lodge (please note this is 2 kilometres from the actual airport). This is a scheduled shuttle service. If you are late to your pickup point in either Hobart or Port Arthur the bus cannot wait. There will be no refunds for missed buses. Please indicate if you are carrying excess baggage. No tickets are sold at any of the stops. You MUST pre purchase your ticket and select a pick up location. There are no sales at any of the stops. Welcome to Tassie Tours, where adventure is everywhere you look. Tasmania is a state where beauty comes in many forms from beaches and mountains to rainforests and waterfalls. It's rugged coastline is world class and its wildlife unique. It is simply a destination you will never forget! Adventure Tasmania with us as we explore Bruny Island, Cradle Mountain, Mt Wellington, Wineglass Bay, Bonorong Park, Maria Island, Greater Hobart, Port Arthur and more! Get the best deals on Hobart Tours here! See Australia's best kept secret and hear the many stories that have made this island so very desirable. If you're on the lookout for day tours from Hobart, Tassie Tours offers a range of exciting discounted day tours in Tasmania to choose from.